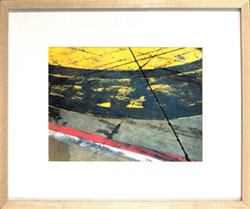 One of a kind, Abstract photo, matted, includes certificate of authenticity. The frame is a blond wood frame, approx 2" deep. Due to screen variations, actual colors may be slightly different. 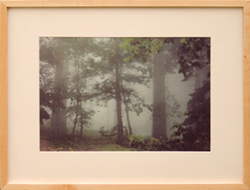 Forest Photo, printed on a textured japanese rag paper, matted, includes certificate of authenticity. Edition of 5, only 4/5, 5/5(on smooth rag stock) available. The frame is a blond wood frame, approx 2" deep.